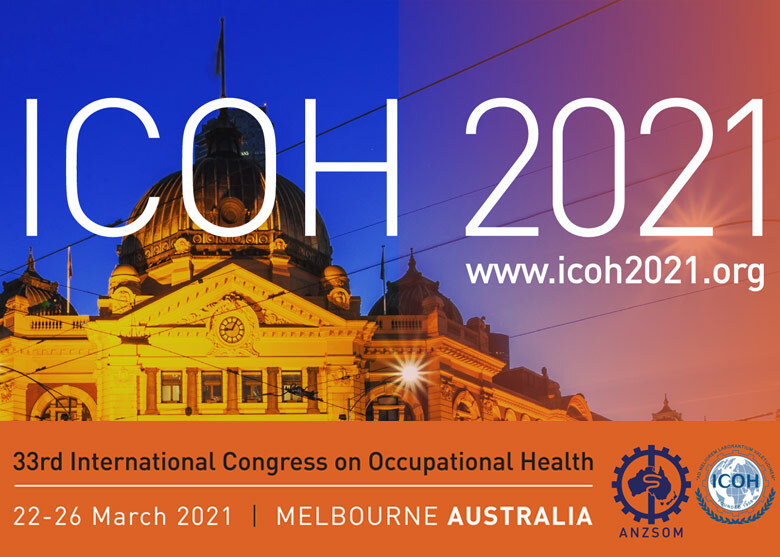 Welcome to the 33rd International Congress on Occupational Health 2021 (ICOH 2021) that will be held at the Melbourne Convention and Exhibition Centre from 21- 26 March 2021. The Australian New Zealand Society of Occupational Medicine (ANZSOM) is very proud to be hosting the Congress and looks forward to welcoming you to Melbourne. With the theme ‘Sharing Solutions in Occupational Health: Locally, Regionally, Globally’, ICOH 2021 will bring together occupational health researchers, practitioners and policy makers from around the world to share their collective knowledge about improving worker health and safety at the largest occupational health congress in the world. Planning is now underway and ANZSOM will be collaborating with other occupational health organisations and experts to ensure this event showcases the great work being undertaken in occupational health nationally and internationally. In addition to the dynamic program, the social program will enable you to network and make connections with fellow professionals whilst you enjoy the vibrancy of the city of Melbourne. To ensure you receive the latest information about ICOH 2021 please register your interest by clicking on the button below.